It is not often a reflective and innovative film that is deeply theological comes to the big screen – and is worth our time and attention. But “The Shack” fits this bill nicely. Not unlike “Heaven is for Real,” “The Shack” reminds us we are never alone, that God is always there with us. 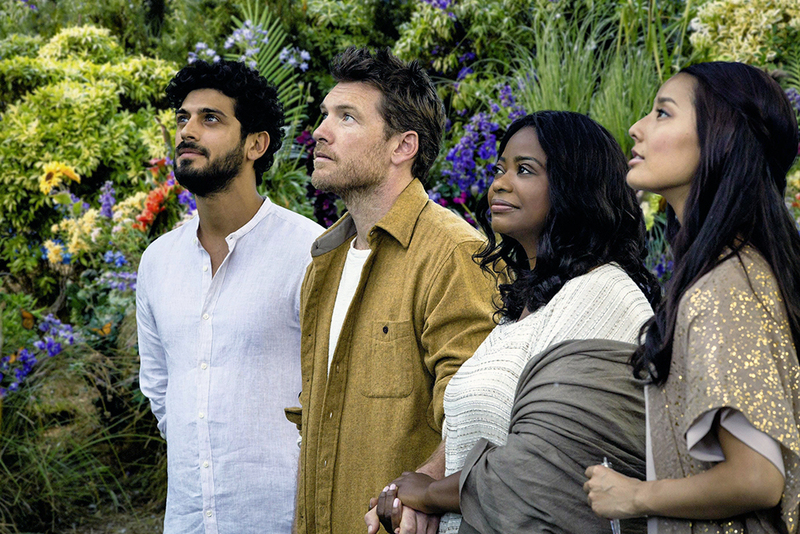 And what “Heaven is for Real” did for reimagining the spiritual world, “The Shack” does for the holy trinity of Father, Son and Holy Spirit. The movie tells the heart-wrenching story of Mack Phillips (played by Sam Worthington), a family man who must endure the disappearance and presumed death of his youngest daughter and make sense of a loving God. The film begins with a brief but critical glimpse of Mack as a young boy who witnesses his abusive yet church-going father beat his mother at the slightest provocation. After Mack confesses to the family pastor about the beatings, his father beats him again, pushing the young boy to take drastic action, which turns into a secret that haunts him throughout his adult life. Mack’s wife, Nan (Radha Mitchell), knows he has a secret eating at him but she cannot convince him to talk about it. Nor can his neighbor, Willie (Tim McGraw), a faithful and God-loving man. As a loving husband and father, it is clear Mack cannot seem to come to terms with a God who is there for us, loves us and to whom we can turn. After all, why did God allow his father to treat his wife and son so terribly? Would an omnipresent loving God really do that? Because he cannot find answers to his questions about God, he forms an uneasy truce with God. At the same time, he feels his wife’s faith is strong enough for both of them for the time being. What is interesting is his wife’s nickname for God. She calls him “Papa,” with her children following suit. A catalyzing event occurs one summer when Mack takes his three children camping to their favorite lake while his wife must stay behind. During this fateful trip, his youngest daughter, Missy, suddenly disappears while Mack is focused on saving his other daughter and son who become trapped under their canoe while boating. One moment she is there coloring her pictures and the next minute, she is gone; a parent’s nightmare.